FrenchEntrée > Living in France > Home Decoration > Looking to Furnish Your French Home? Furniture for France, where customer service is as important as the furniture! The six new ranges include traditional styles in a rustic finish as well as contemporary lighter lacquer designs for more modern properties. With price of solid oak bedside cabinets starting at just £125 it is no wonder Furniture for France had its best ever year in 2012. In addition to the new oak furniture a choice of 12 different paint colours are now available on all their pine furniture. Wood samples can be sent out if you are not able to visit the showroom . “With delivery costs starting at just £99 for any quantity of furniture, there really isn’t a better or easier way to furnish a property in France,” said Brian. Throughout 2012, sofas have continued to be the best selling individual item for the company. Loose covered designs are always top of the list with the introduction of more complex fabric patterns and colours allowing customers to custom cover the sofa of their choice. “This process can take some time to work through, but as this product has a life expectancy of over 15 years, it pays to get it right,” said Brian. The Easter period is already looking to be the companies busiest for years, with deliveries as far afield as Geneva, Le Mans and Nice, not forgetting all the many local customers from the Dordogne, the Lot, Charente and Limousin who are able to see before buying by visiting the showroom which is situated near Brive. “It was very rewarding to have so many great comments on the furniture and our delivery service,” said Brian. 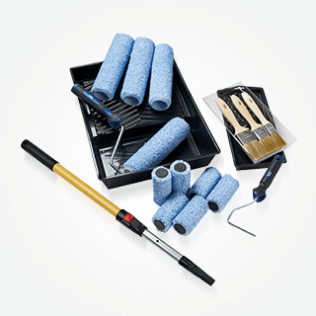 WHY CHOOSE FURNITURE for FRANCE? Furnishing your Limousin home can be something of a challenge as it is not easy in the rural idyll that is Limousin to find classic and contemporary designs of good quality and at the right price. It was as a result of this obvious gap in the market that Brian Muir founded his online furniture store , Furniture for France. Founded in 2000, Furniture For France is now in its eleventh year of supplying high quality UK made furniture and sofas direct to your property in France. Brian has since gone on to open a Limousin showroom where customers can see some of the products available and discuss their requirements in person. In addition Brian has a new look website making it easier for customers to browse the products available. The solid furniture is of the highest quality; it does not come flat packed! From ski apartments to country farmhouses or Mediterranean properties, the furniture is programmed for delivery to the agreed day, timed to the hour at your convenience. The alternative is to try to find suitable furniture in France, to deal direct with French suppliers and to organise deliveries. This is not as easy as one might imagine! Furthermore, with the fall in the exchange rate over the recent years, means buying furniture in France in Euros is very much more expensive. Of course you could consider buying furniture elsewhere, storing furniture, hiring van, loading van, driving van to channel port, crossing channel, driving van to your property, unloading and installing it all yourself, and then driving van back to UK, but when we will do all that for you from just £99 why would you want to! The ability to pay for your furniture in UK sterling currency is also a huge consideration when furnishing your home in France that coupled with our no hassle timed delivery/installation service makes it an easy choice for many clients. The whole process can be completed in 3-4 weeks, but please allow slightly longer if your delivery is required during busy periods. i.e. school holidays etc. 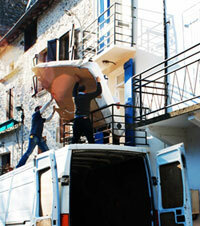 Can there be a more convenient way to buy furniture for your property in France! Owner Brian Muir said the new site has improved the way the company displayed products online. “The most important feature of any website is surely the ease of use and clarity. There is nothing more annoying than having to trawl through dozens of pages in attempt to find some poor-quality thumbnail which gives no real detail of the product or style of furniture you are looking for only, ” he said. “To this end, we have made it quick and straightforward to find any products through our at a glance directory. This will lead you directly to the product, showing several high-resolution images, including our own superb photos from our ‘real-life’ deliveries,” he added. The site also shows close ups in the finest detail, leaving the customer under no illusion as to the style, finish, quality and suitability of the item for their property. You can click on the Room Styles links on the website to view the diverse range of furniture on offer in Traditional Oak and Pine designs as well as some more contemporary furniture, with influences from around the world. From there you can browse all the items within the ranges. With painted pine products becoming increasingly popular you can choose from numerous combinations of finishes .Wood samples are available on request. Click on the Sofas link to see the full range of sumptuous UK made removable, fixed and leather sofas. Again fabric/leather swatches for each design are available on request. You can also easily compare on the same page other similar product ranges, whether you are looking at oak bedsides or pine bookcases or leather sofas., Mr Muir said the decision to continue the ordering process by e mail and phone calls was deliberate. “The majority of our customers still want to be able to talk to someone along the way,” he said.